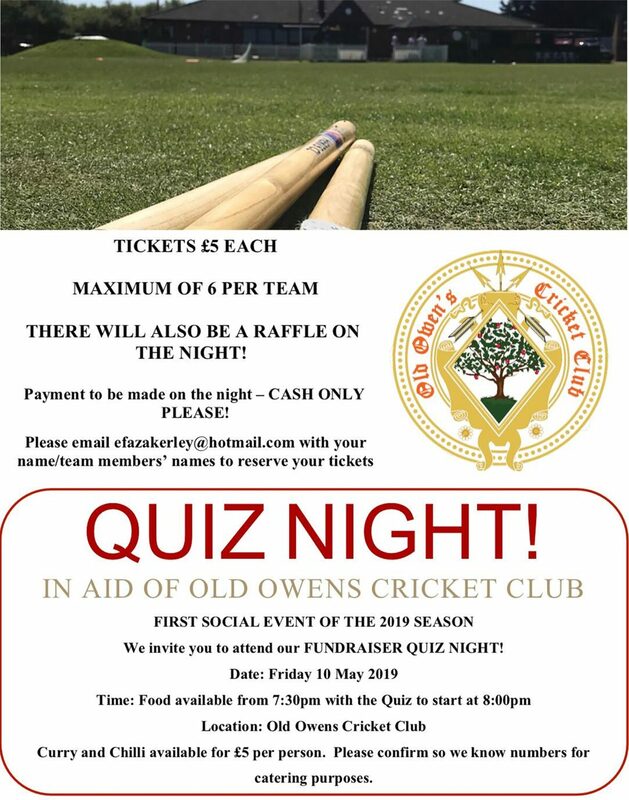 Old Owens Cricket Club first Social Evening of the summer is a quiz night on the 10th May 2019, with all details shown below, so bring your thinking caps and make a brilliant evening of it by entering a team in the competition. In 2019 we are starting to build our junior section, taking children as young as four, we will be running coaching every single Monday night from the start of May! The Young O’s will run from 5.30-6.30 pm and this will be working on the basics of batting, bowling and fielding and an introduction to playing some fun softball matches at the end of the lessons (6-8 year olds). The Middle O’s will run from 6.15-7.45 pm for the 9-11 age group where we will be working on match play, batting and bowling and fielding with it leading to playing both soft and hard ball matches dependent on the child’s confidence. The Giant O’s (Aged 12-15) will run from 6:30-8 pm and this will be a combination of both Nets Game Scenarios, Batting Bowling and Fielding Drills and wicket keeping drills for would be keepers. With ‘Hard Ball’ matches against teams in the area also played during this time when available. All sessions will be run by our dedicated team of Level 2 coaches assisted by Level 1 “Parent” Coaches. We will be building sessions up so that we are ready to play in the junior leagues in the season of 2020, but for 2019 there will be plenty of opportunities to play friendly cricket against many teams within the local area. 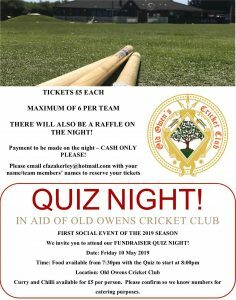 Old Owens Cricket Club have a new website www.oldowenscricketclub.co.uk created and updated by Ralph Lane. New members are most welcome and for further information please contact Bradley Lane (1st Team Captain) on 07738 005332. If interested please reply to Richard Baker asap at richardbaker5@btinternet.com with a list of numbers, menu choice and where you would prefer to be seated (Tables 8-10 persons). Also on the night will be raffle prizes (so can all members bring something for the raffle, if possible) and if anyone has anything for an auction please bring along! It is with deep regret and sadness we announce the death of Old Owens Association member, Old Owenian (1960-66) and Old Owens Cricket Club legend & stalwart Keith Freeman who passed away in Barnet Hospital on Saturday 20th October 2018 after a bout of illness. 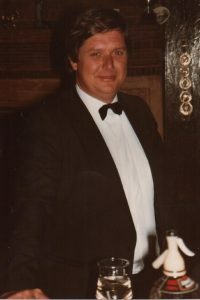 Keith captained the 1st XI from 1980-1990 and was an opening bowler who took many wickets with his ‘slingy’ action especially on bouncy wickets. He was also an aggresive batsman batting from any number between 1-5 whose favourite shot was the cover drive. His favourite fielding position was in the Slips where he made catches look easy. During his time with the Cricket Club, Keith held many other roles i.e. Club Captain, Secretary, Treasurer & Vice President. Keith was a jovial character, very witty, generous, a good raconteur & quite easy going unless you upset him. His favourite drink at the Bar was a ‘Double Gin & Tonic’. 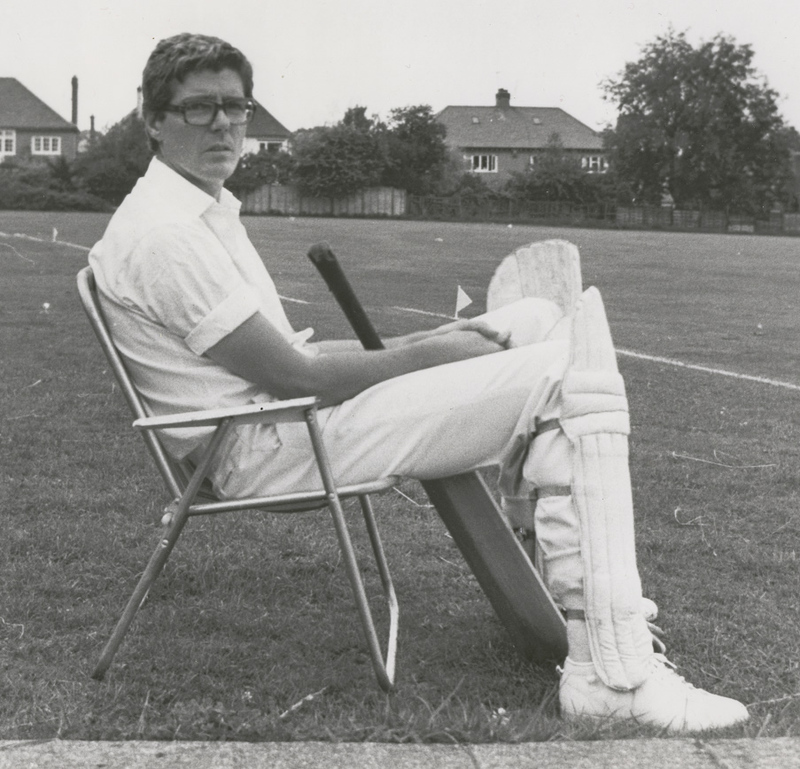 After his playing days finished Keith was an avid supporter of the Cricket Club and would come every week when available and watch all the Owens teams playing at Coopers Lane. Keith will be missed by everyone at the Cricket Club & condolences go out to his wife Nobuko, children Lisa & Neil, grandchildren & other family members. followed by a Wake at ‘The Kinks Room‘ The Clissold Arms, 105 Fortis Green, N2 9HR. Old Owens 1st XI v. Knebworth 1st XI (Home – start 12.30 pm). Knebworth won the toss and chose to field first. Old Owens scored 136 all out (42.4 overs) – (C.Whitworth 68). Knebworth replied with 137-8 (34.1 overs) – (A.Sutton 3-25, B.Lane 3-34). 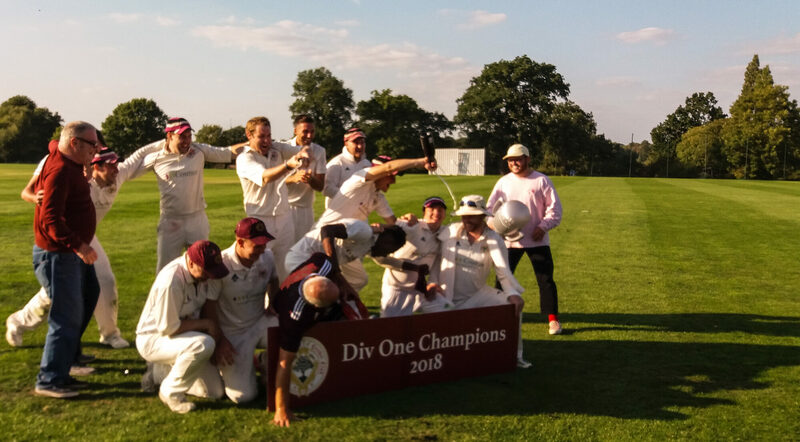 Old Owens 1st XI lost by 2 wkts (10 pts) – Old Owens 1st XI finished 1st in the League with 476 pts and were crowned as **CHAMPIONS** and are promoted to the Championship for next season (Well done boys!!!). Old Owens 2nd XI v. Knebworth Park 2nd XI (Away – start 12.30 pm). Old Owens won the toss and chose to bat first. Old Owens scored 149 all out (49 overs) – (O.Gaeton 43, L.Hollett 35). 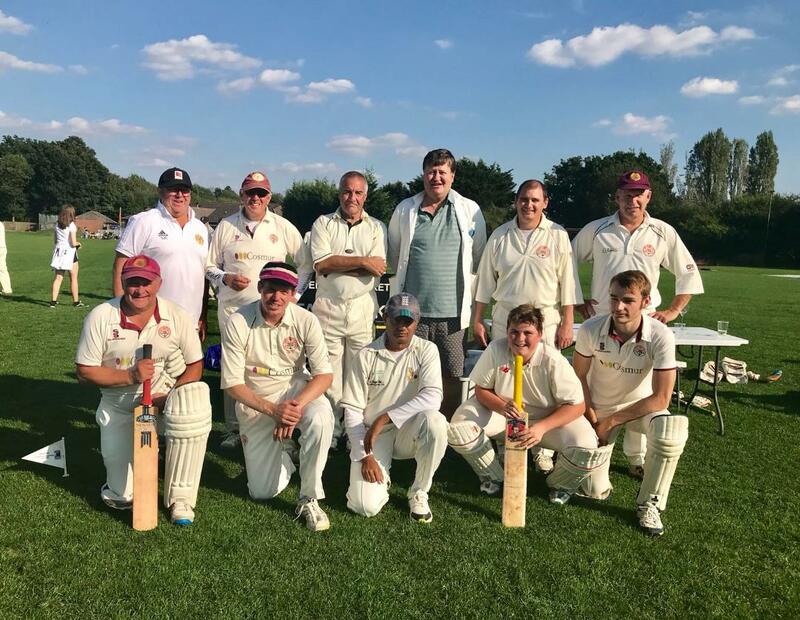 Knebworth replied with 150-4 (30.4 overs) – (R.Thiruchelvam 3-42). Old Owens 2nd XI lost by 6 wkts (17 pts) – Old Owens 2nd XI finished 7th in the League with 341 pts. Old Owens 3rd XI v. Knebworth Park 3rd XI (Home – start 12.30 pm). Old Owens won the toss and chose to field first. Knebworth scored 76 all out (35.3 overs). Old Owens replied with 80-5 (23.2 overs). Old Owens 3rd XI won by 5 wkts (30 pts) – Old Owens 3rd XI finished 2nd in the League with an average of 25.0714 pts (Total 351 pts after 14 matches) and are ** PROMOTED** as Runners Up to Division 10B. It is with deep regret and sadness we announce the passing of Ken Southgate on 2nd July 2018. Ken was a stalwart of Old Owens Cricket Club playing for the 1st XI and then captaining the 2nd XI for a number of years and was a very capable swing bowler who took many wickets for the Club . The Old Owens Association would like to send sincere condolences to Jodie, Jamie, David and the rest of the family for their sad loss. The family would like to invite everyone who knew Ken to give him a well deserved send off and to celebrate the life of a’lovely’ man (The family have also asked that attendees to the Funeral should wear Casual or Smart Dress but preferably not Black). at Woodland Hall, Green Acres Epping Forest, Kiln Road, North Weald, Epping, Essex, CM16 6AD (https://www.greenacrescelebrate.co.uk/park/epping/directions/). to be followed by the Wake Reception at Welwyn Garden City Cricket Club, 288 Knightsfield, Welwyn Garden City, AL8 7NQ from 1.30 pm onwards. It is with deep regret and sadness we announce the passing of Tony Lane on 28th May 2018. Tony is the father of Tim Lane (Chairman of the Old Owens Association) and his siblings Danny and Sarah. Tony would often be seen at the Old Owens Sports Ground over many years watching the Cricket, especially when both his sons Tim and Danny was playing together for Old Owens 1st XI and he would entertain everyone with his charm, wit & knowledge of the game. He also umpired many matches at Old Owens. The Old Owens Association would like to send sincere condolences to Tim, Danny, Sarah and the rest of the family for their sad loss. The family would like to invite everyone who knew Tony to give him a well deserved send off and to celebrate the life of a’lovely’ man. to be followed by the Wake at Old Owens Sports Ground, Coopers Lane, Potters Bar, Northaw, EN6 4NF.